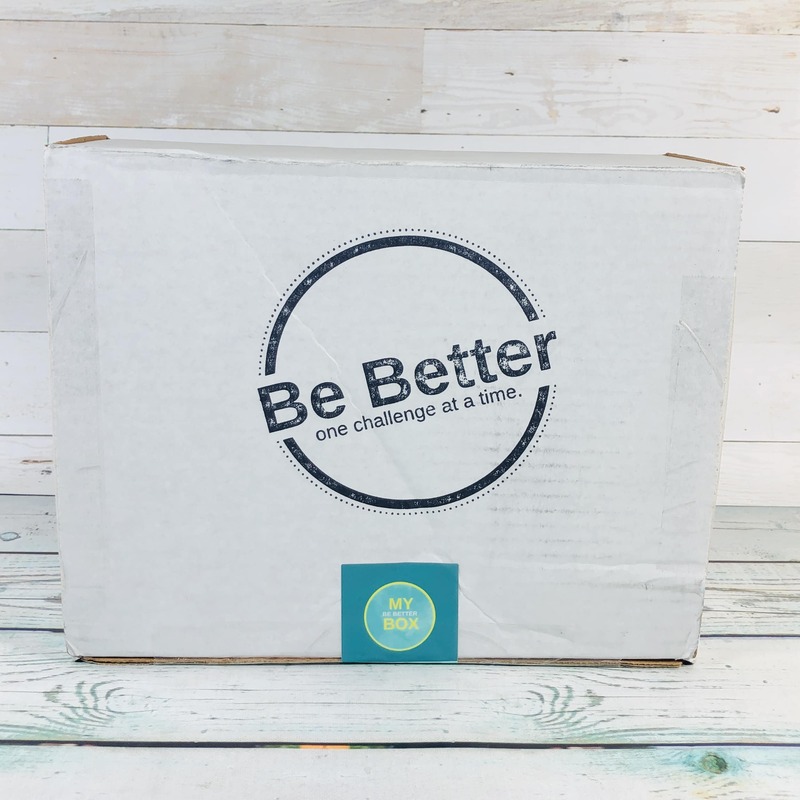 My Be Better Box is a bi-monthly subscription box for “busy go-getters who appreciate guided self improvement, are excited about new wellness products, and love to give back.” You will receive two months worth of challenges and some products to help you complete some of the tasks. Complete the tasks and money is donated to a charity. 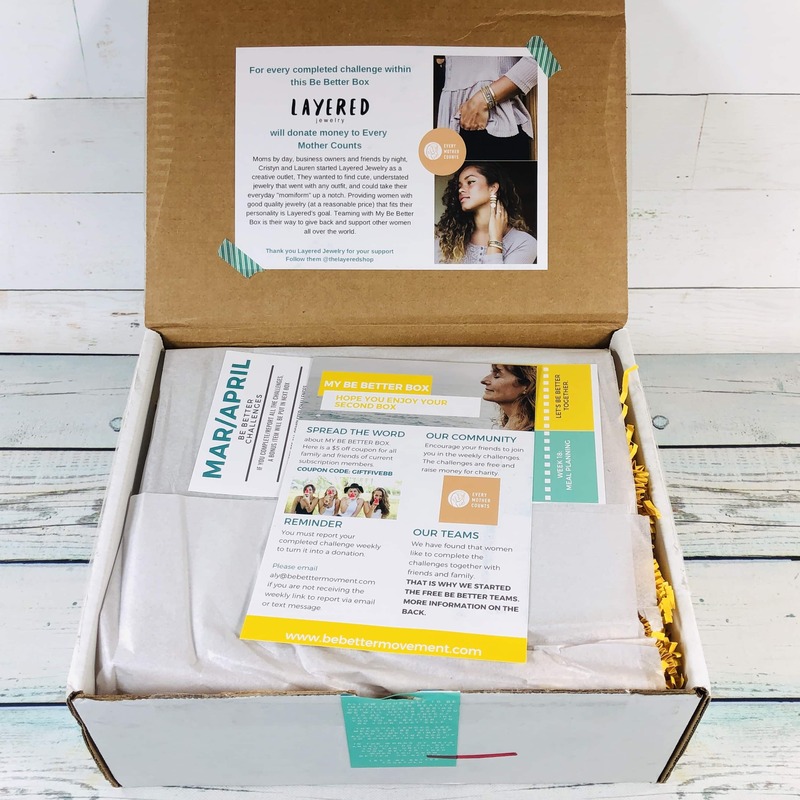 My Be Better Box is $44.50 every two months. 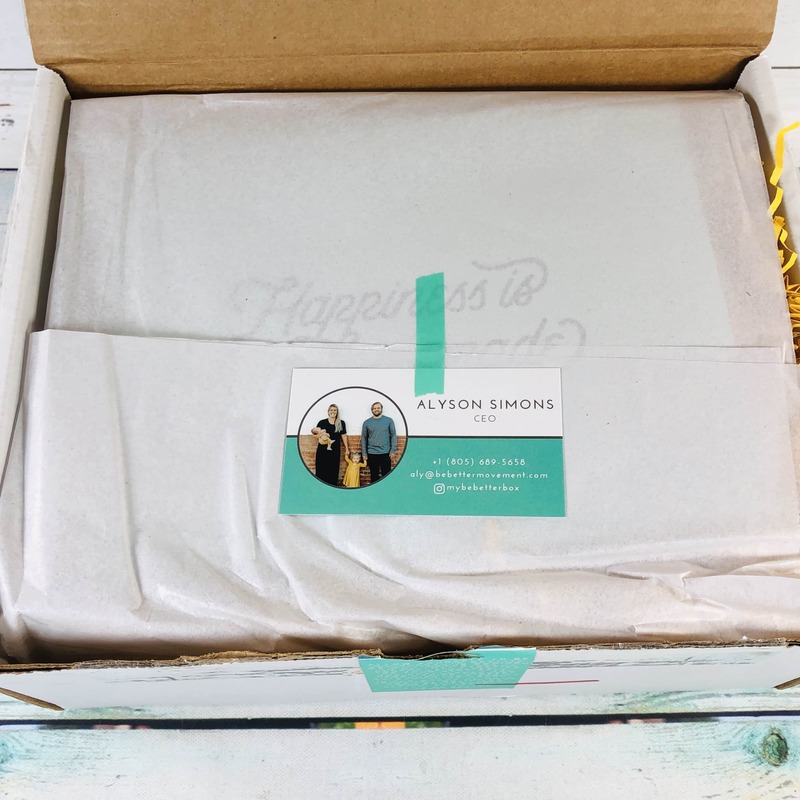 Give a gift that will have meaning and impact all year long. A promised donation made to the charity, Every Mother Counts, for each completed challenge. 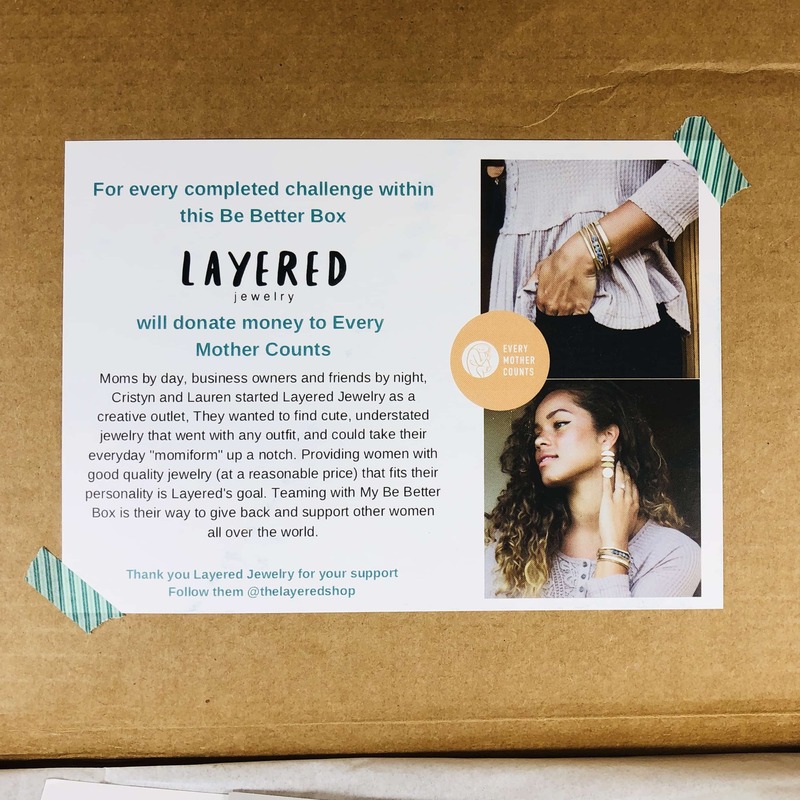 I found info about a donation that will be made by Layered Jewelry to Every Mother Counts. Next was a card that had a few reminders about reporting completed challenges in order to turn it into a donation. You can even start a team comprised of friends and family who want to help too. I received a tracker for the months of March/April. 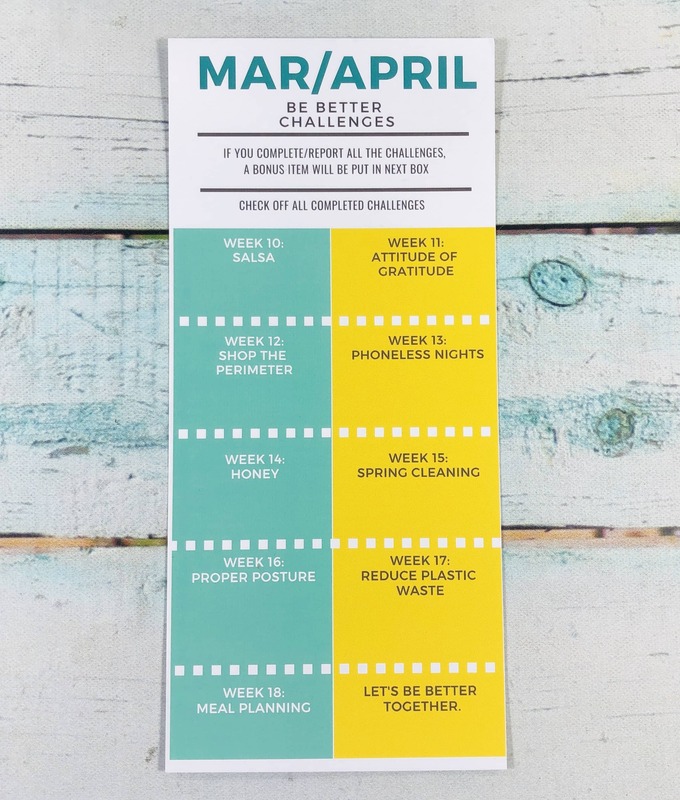 Keep it handy to mark off the challenges. 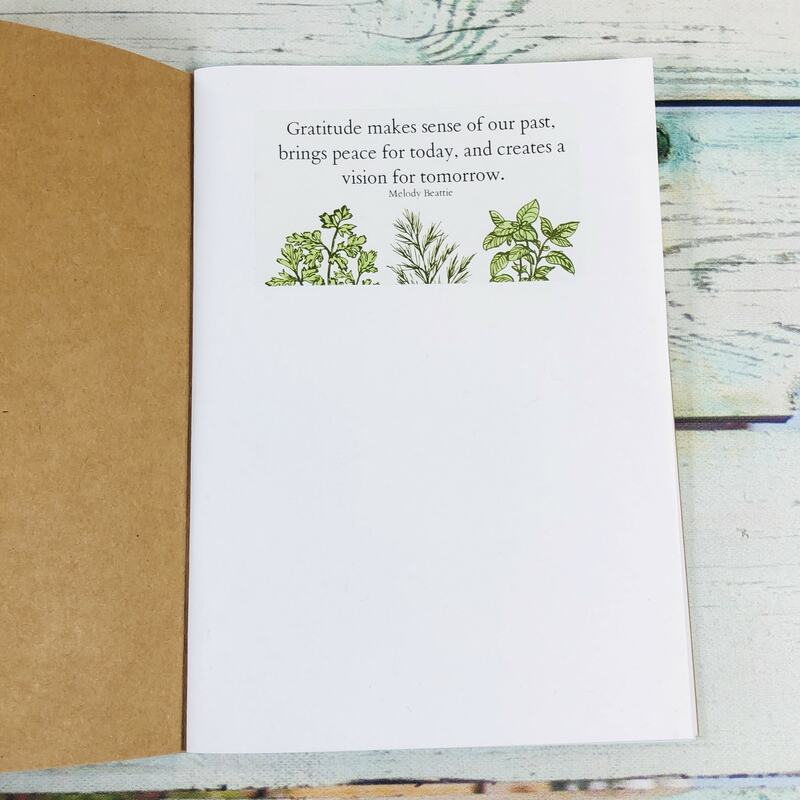 I found a business card from the My Be Better Box owner. 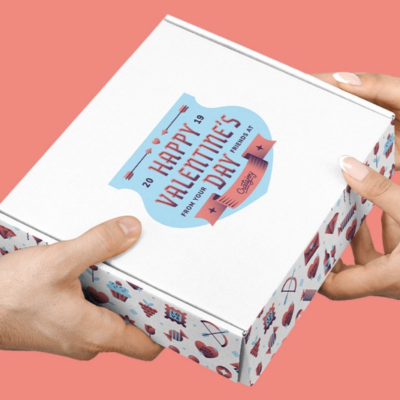 The items were wrapped in tissue paper and tucked into shredded paper squiggles. I found a reusable envelope in my box. Inside were the 9 weekly challenges. 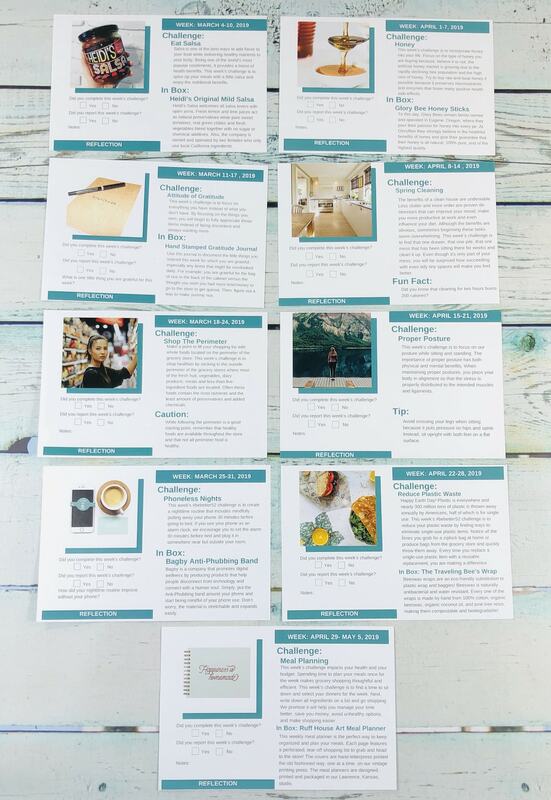 The back of each card has the info you need to complete the challenge. 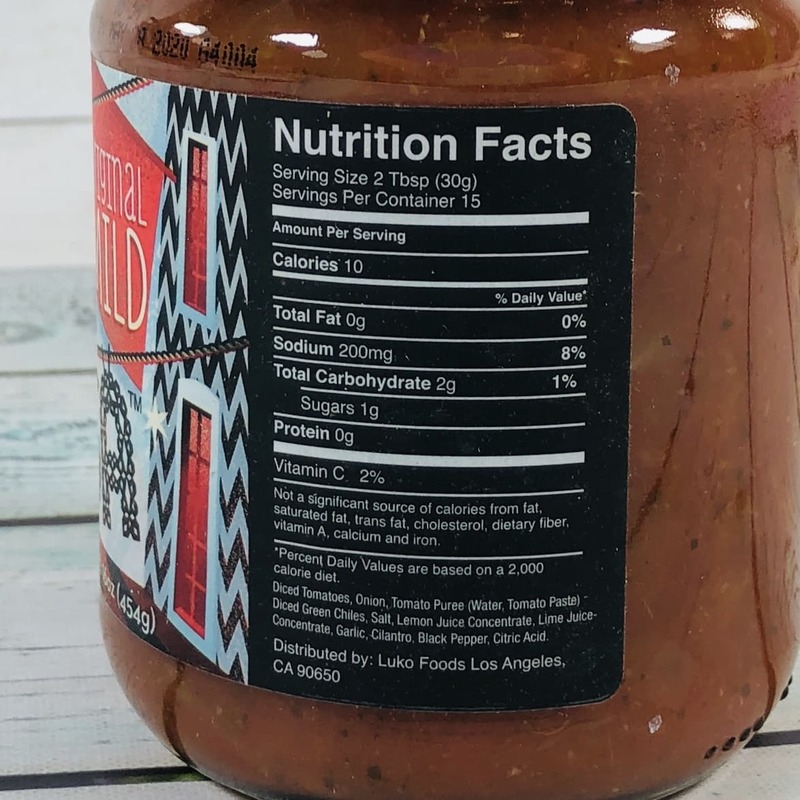 I’m going to highlight the first challenge: Eat Salsa. That sounds totally doable. 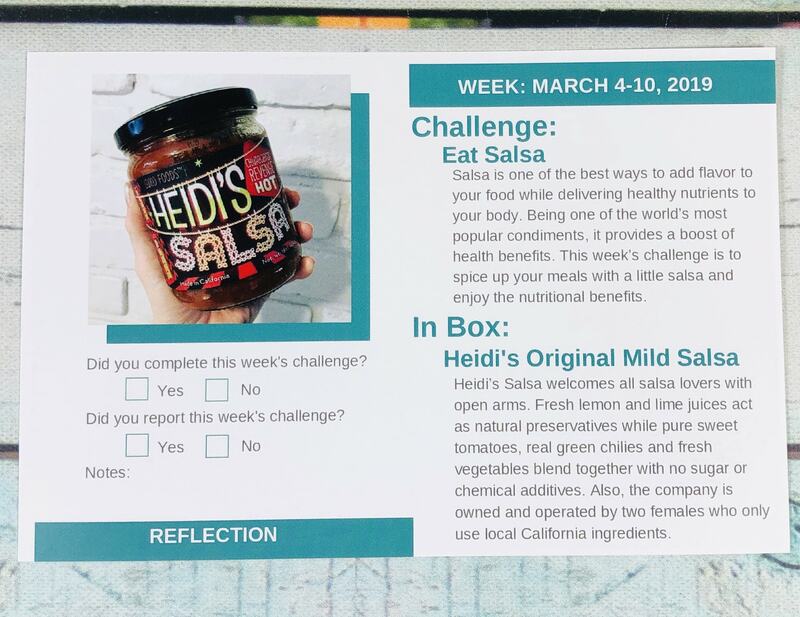 For the week of March 4-10th, my challenge is to eat salsa. It doesn’t say that I have to eat it every day, but that’s not really a problem here in Texas anyways. They even included a jar of salsa to get me started. 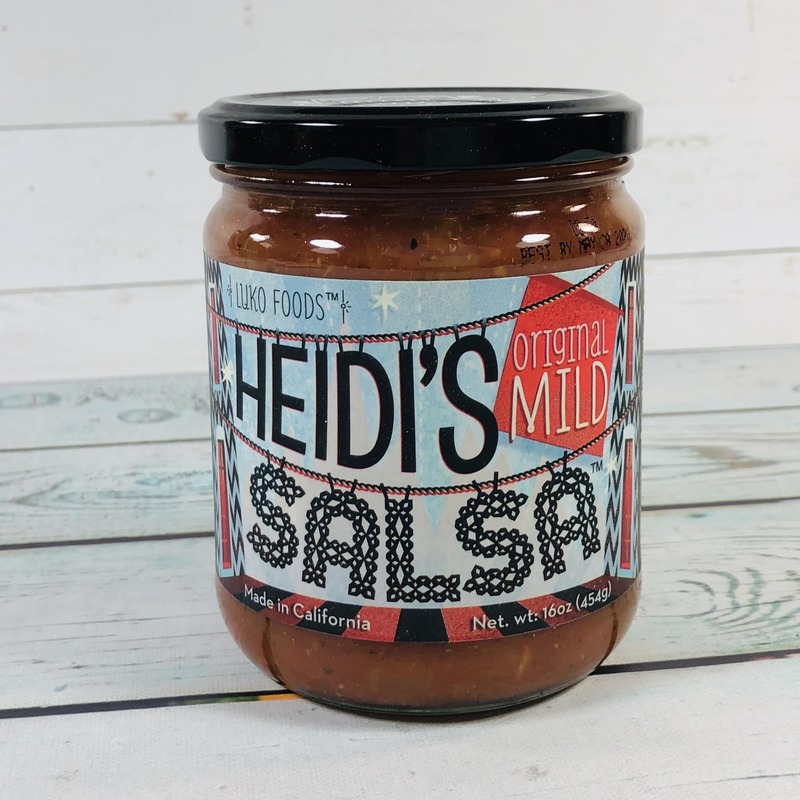 Heidi’s Original Mild Salsa ($6) I am glad that I received a mild salsa, but you can order medium or hot on the brand’s website. 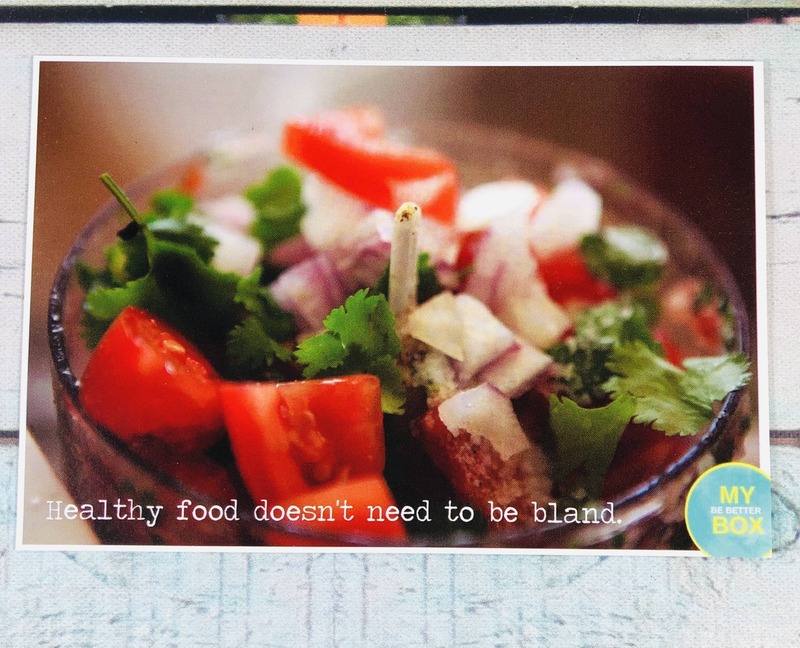 Tomatoes, onions, and green chilies are flavored with cilantro and citrus juice. I tried my salsa with tortilla chips and it was tangy and really good. You could also spoon it on tacos, scrambled eggs, or use it in recipes. 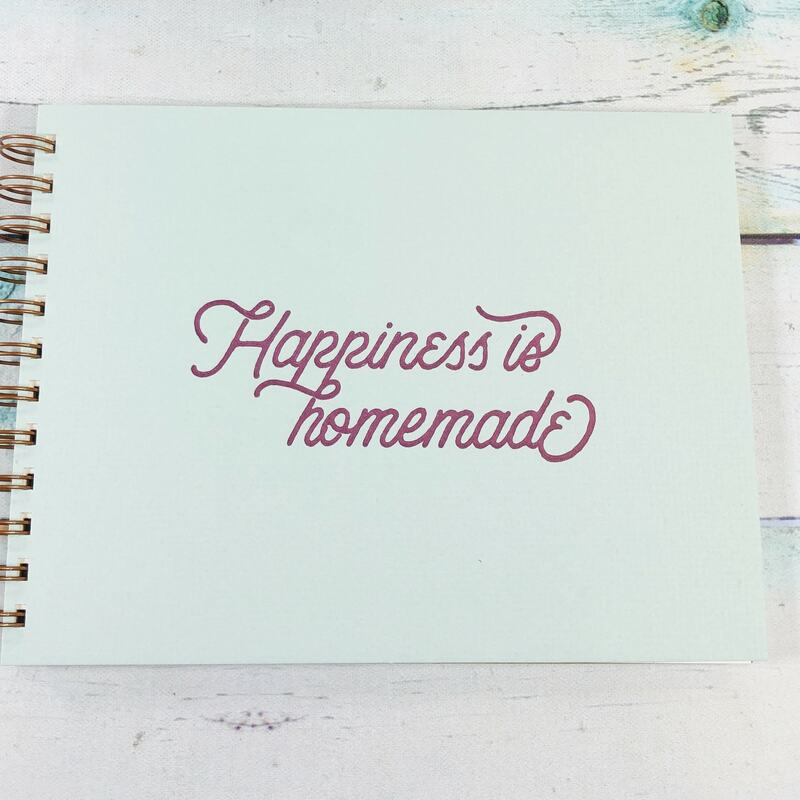 Ruff House Art Happiness Is Homemade Meal Planner ($18) goes with the week 18 challenge: Meal Planning. One of my most important jobs is home chef. Every week I plan meals, shop, and then prepare them for my family. One thing I appreciate about this book is that you can keep your weekly menus if you choose. 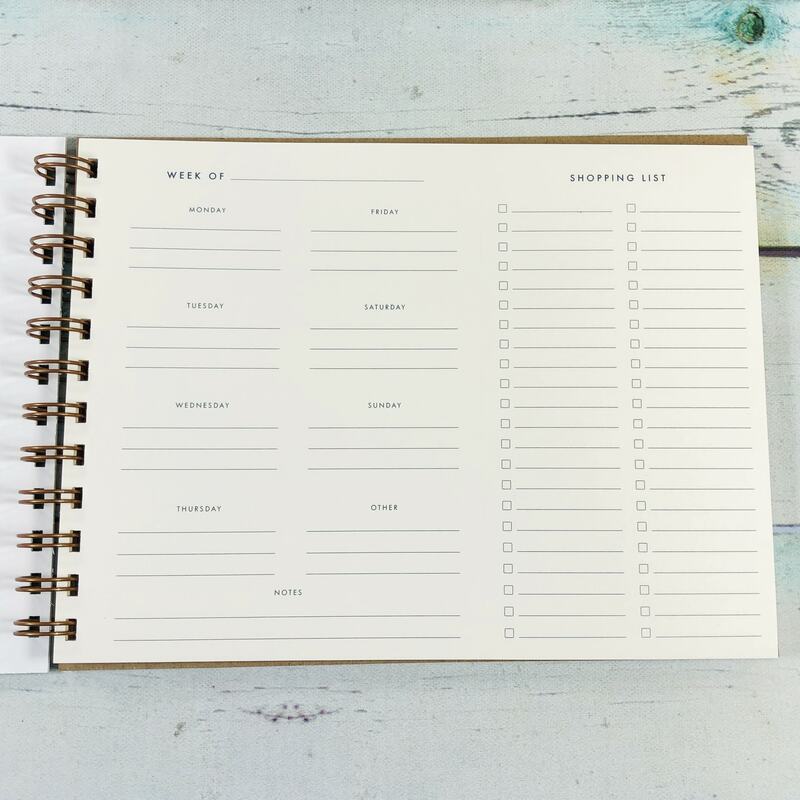 That way you can look back at it and get inspired when you are feeling unmotivated to make a new list. There are 54 pages so after a year you should have a lot of menus. There is even a perforated shopping list that you can tear off when you are ready to go shopping. 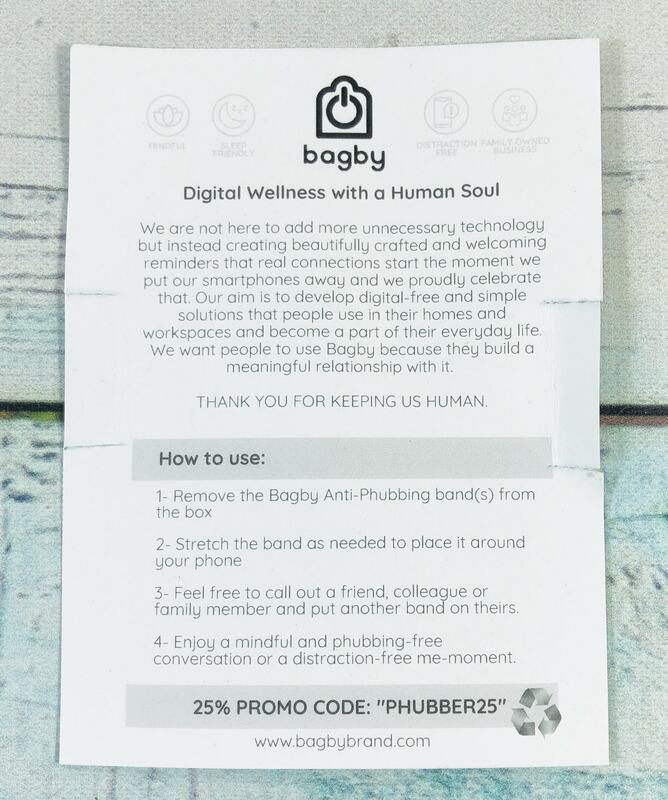 Bagby Anti-Phubbing Band ($4.98) goes with the week 13 challenge: Phoneless Nights. 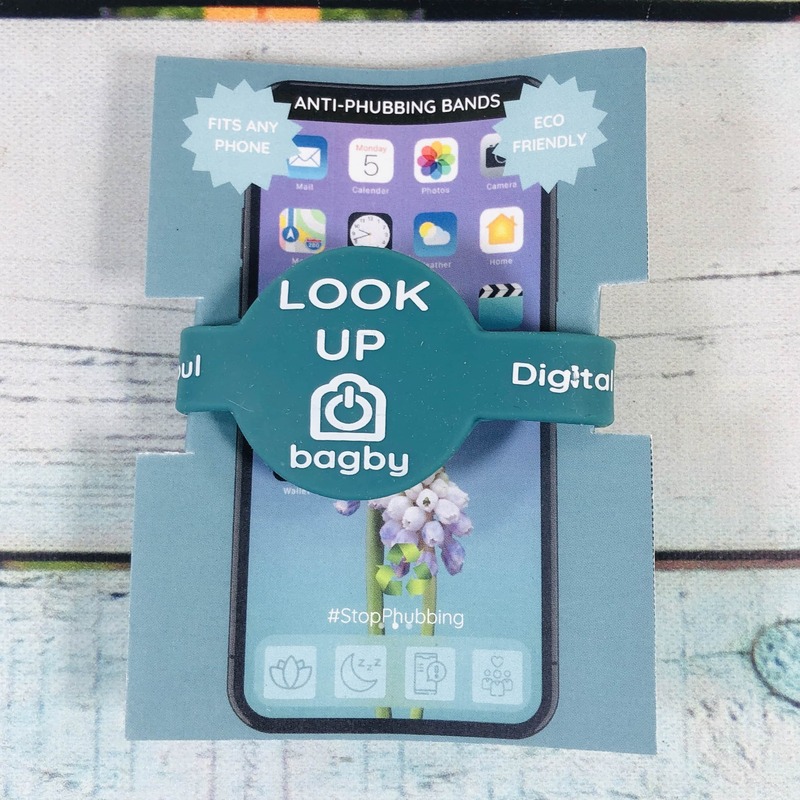 You simply stretch the Bagby band over your smartphone as a reminder to take a break from your phone from time to time, and especially for a while before bed. Phubbing is what happens when you are with someone but they blow you off by spending more time looking at their phone than looking at you. They are snubbing you, but with their phone. The idea behind phoneless nights is to take a break from constantly looking at emails, social media, etc, and just relax before bedtime. 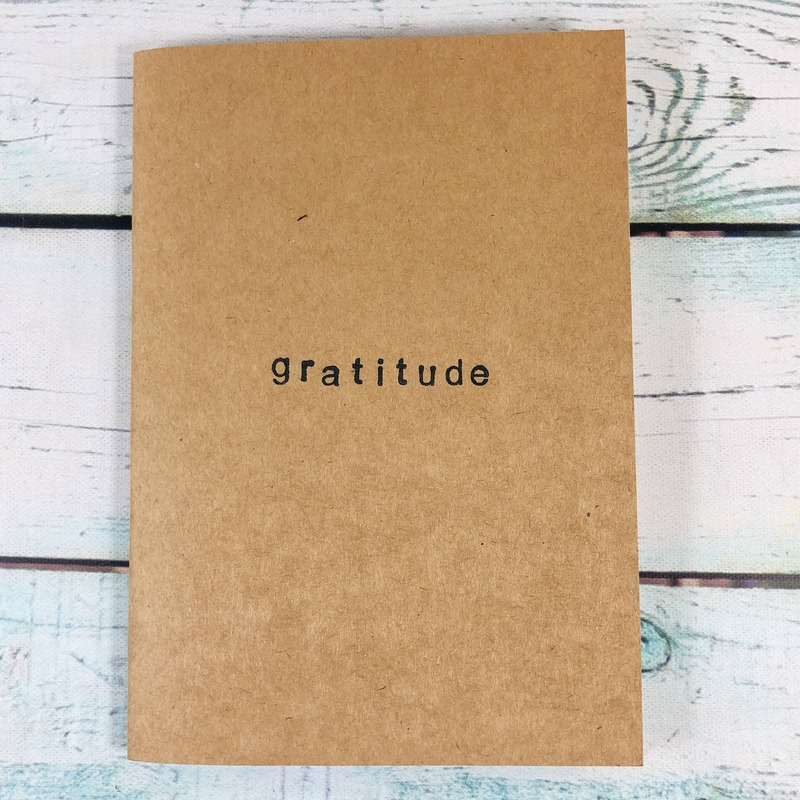 Gratitude Notebook goes with the week 11 challenge: Attitude of Gratitude. The challenge is to focus on what you have rather than what you don’t have. There was a sweet sticker on the first page of the book. 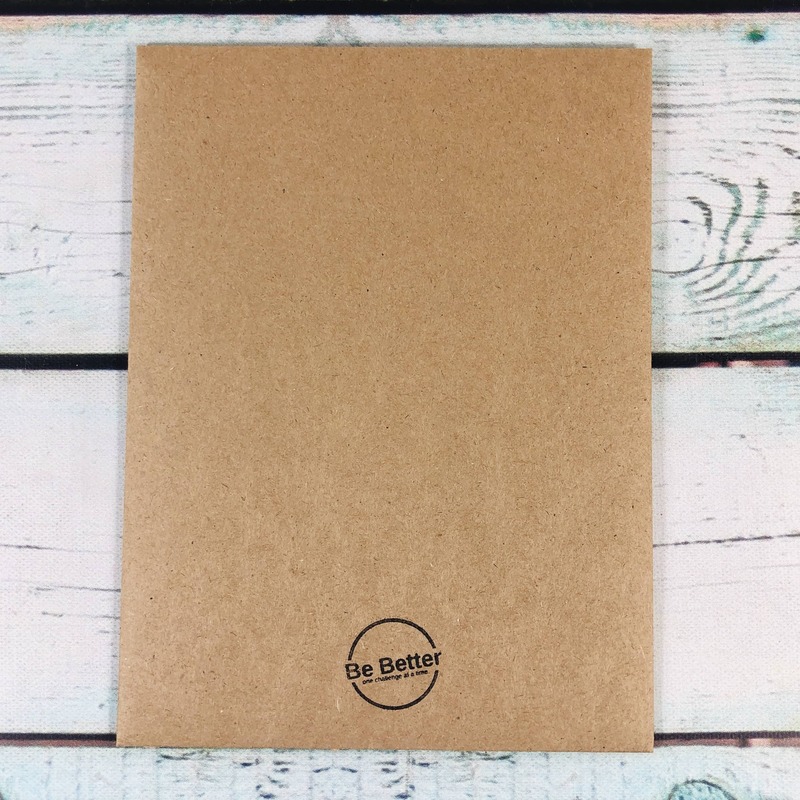 The notebook size is about 5″ x 7″. 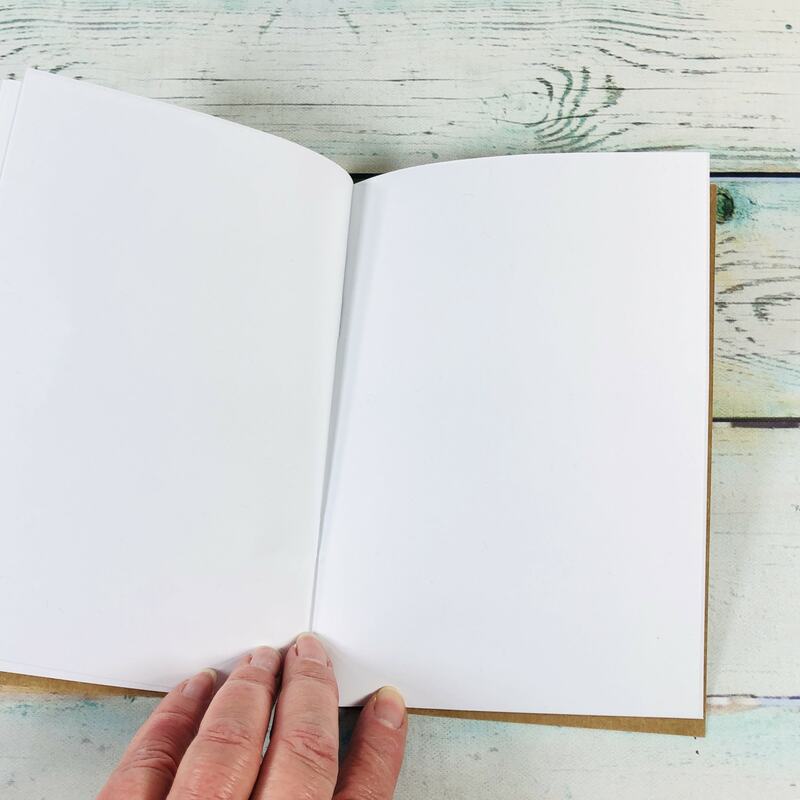 The pages are unlined and there are 20 of them, or 40 if you write on both sides. 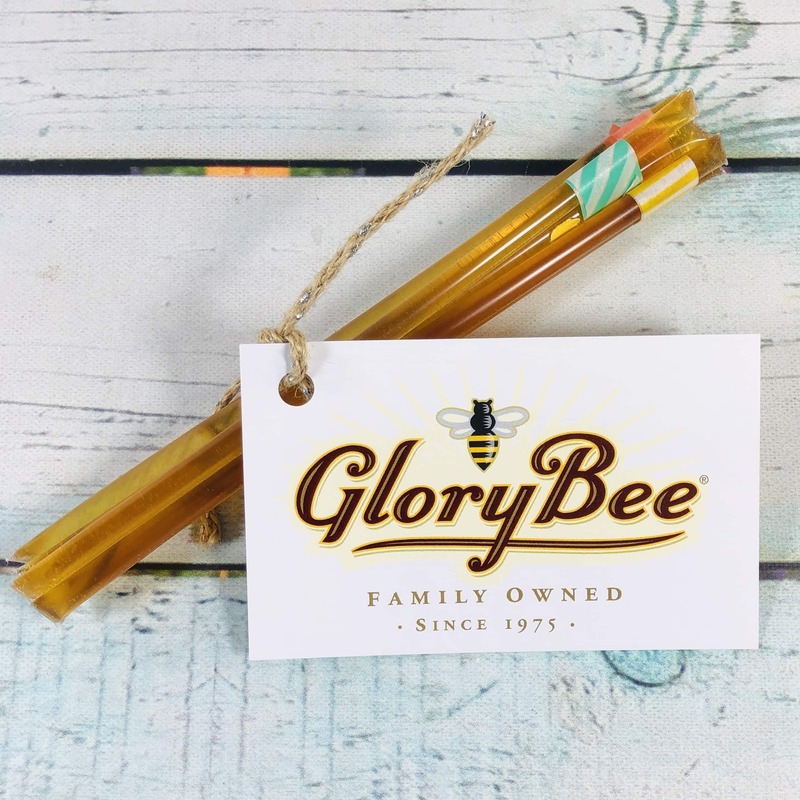 Glory Bee Honeystix Flavored Straws ($2.50) helps us accomplish the challenge for week 14: Honey. I received 6 honey stix in 3 different flavors. There was colored washi tape so I could tell which was which. 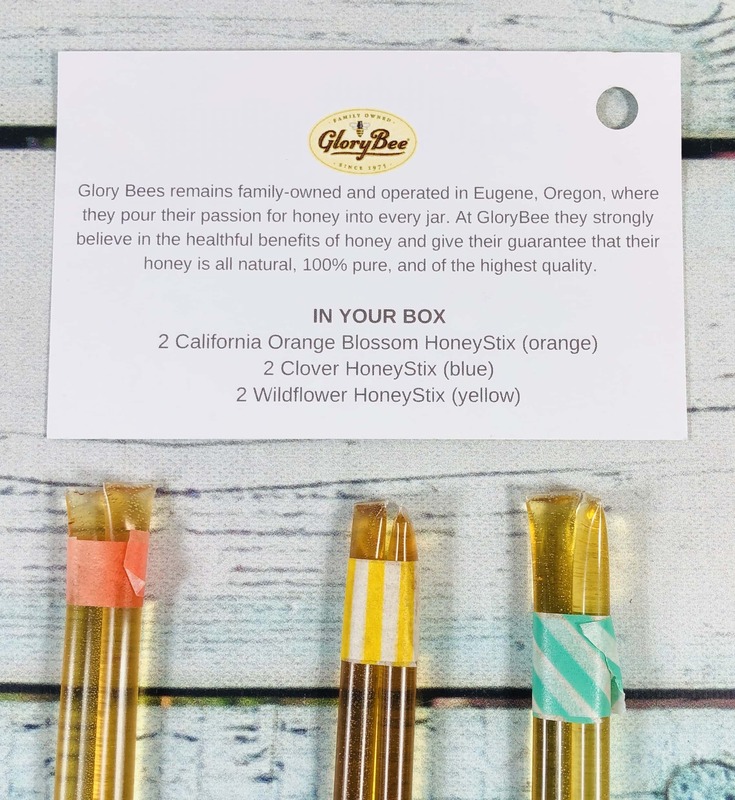 Each stix has 1 teaspoon of honey, which is 15 calories. You could place them in your lunch box and then add to yogurt, pour into tea, or just pop one open and pour it directly into your mouth. YUM! 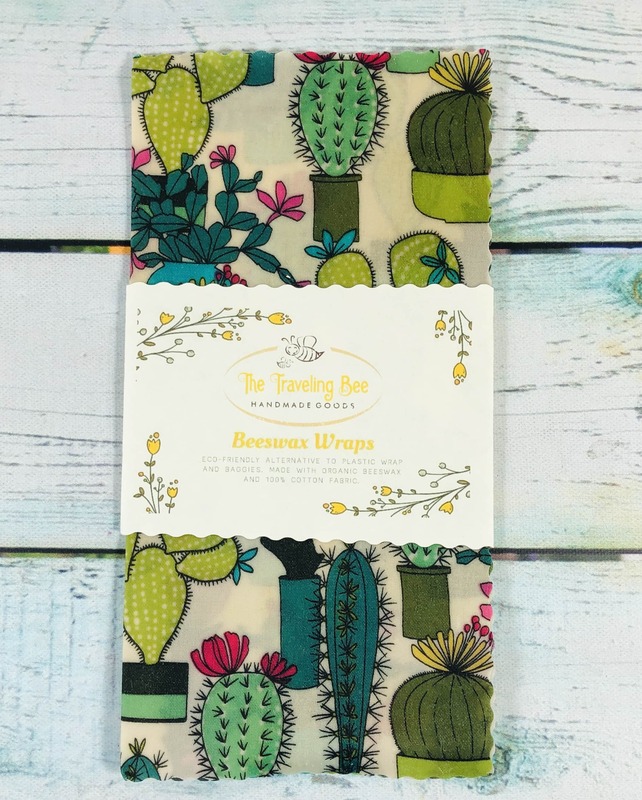 The Traveling Bee Beeswax Wraps ($6?) 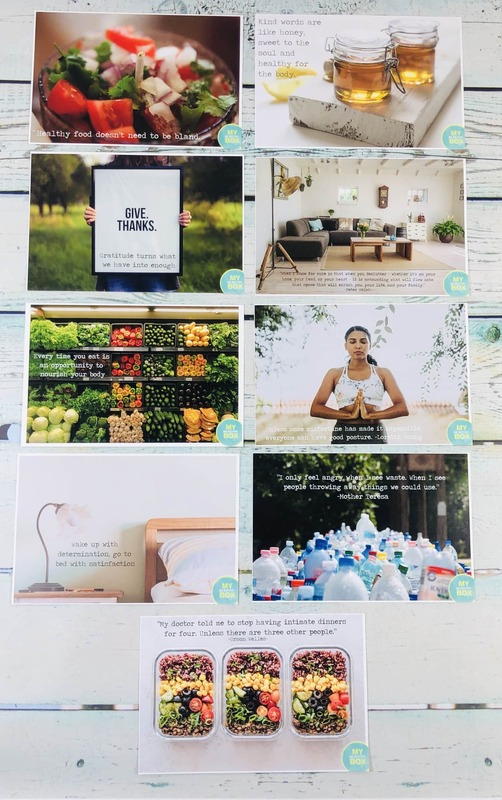 helps us with the week 17 challenge: Reduce Plastic Waste. 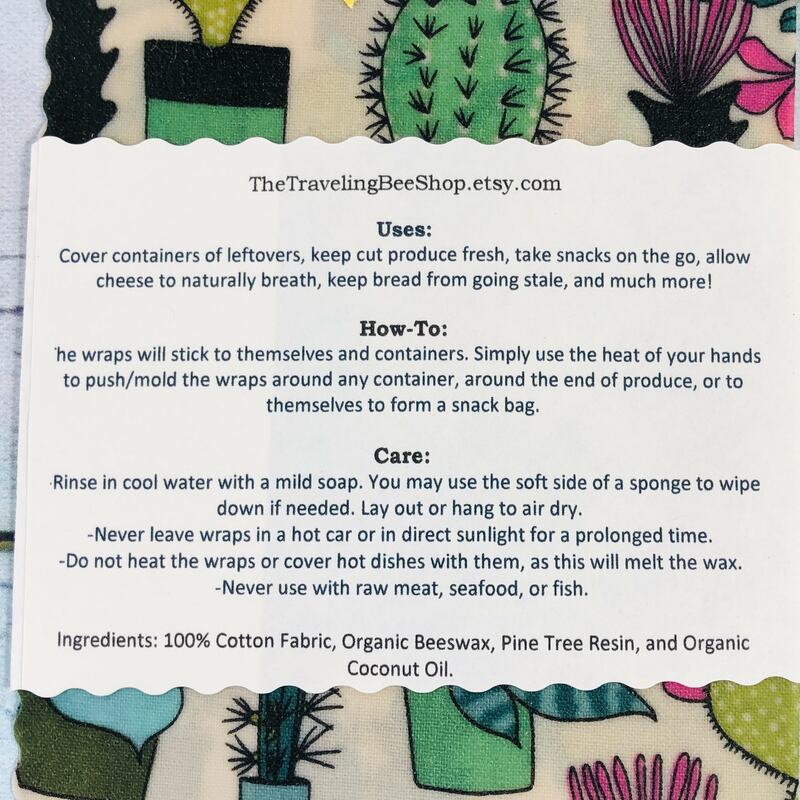 You may use these wraps to carry snacks, just shape them into a bag and then press the edges together to help them stay stuck. Do not use with raw meat. You can wash the wraps but you need more than a swish with soapy water to get pathogens out from raw meat. 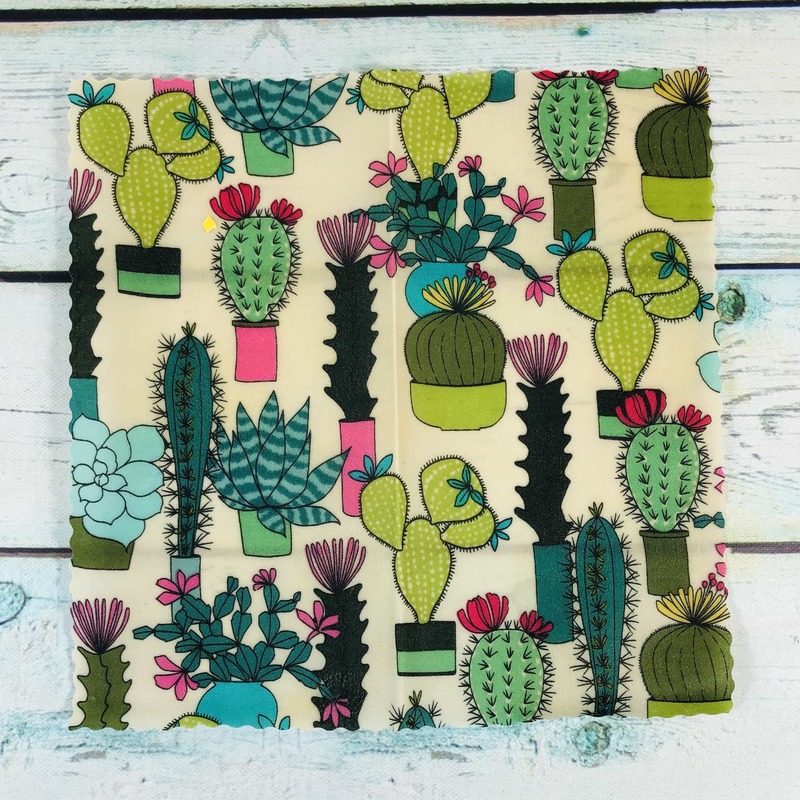 My wrap/cover is 8″ square, which I believe is the small size found in some of the sets. You can also press this on top of a container, like plastic wrap. There are more challenges in the box, but you don’t need any special items to complete them. I like the challenges, they are not overly hard but of course, they can also be a starting point to bigger changes if you wish. My Be Better Box is a kind reminder every other month that I need to be just a little more aware. I thought the items sent were helpful and am especially happy with my new menu book! Plus, you can do good by reporting your completed challenges, which will be turned into a donation to someone in need. Sounds like a win/win to me! 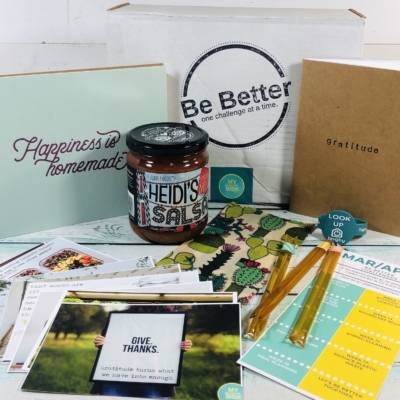 What do you think of My Be Better Box? 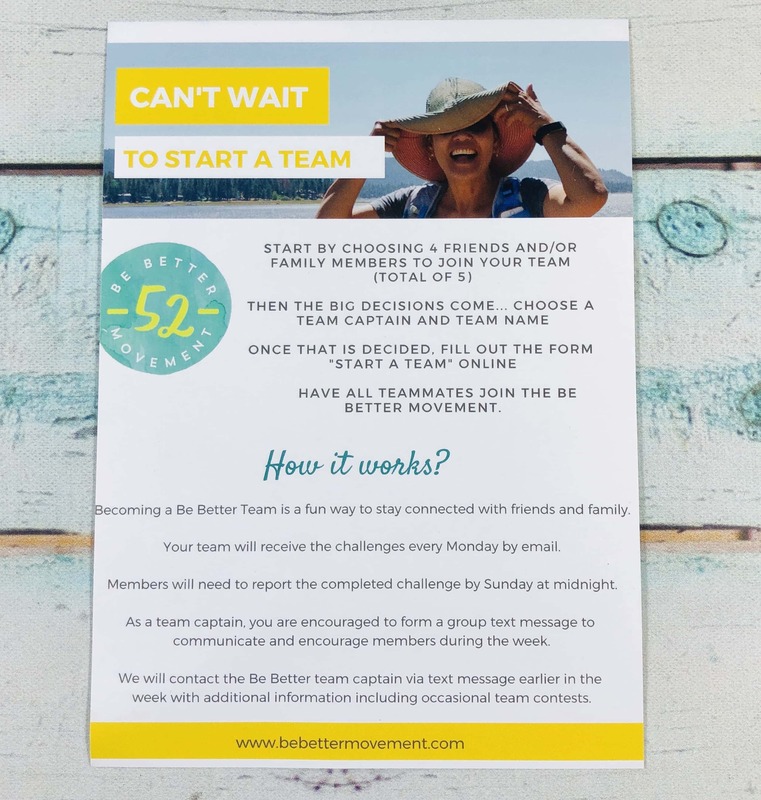 Visit My Be Better Box to subscribe or find out more! 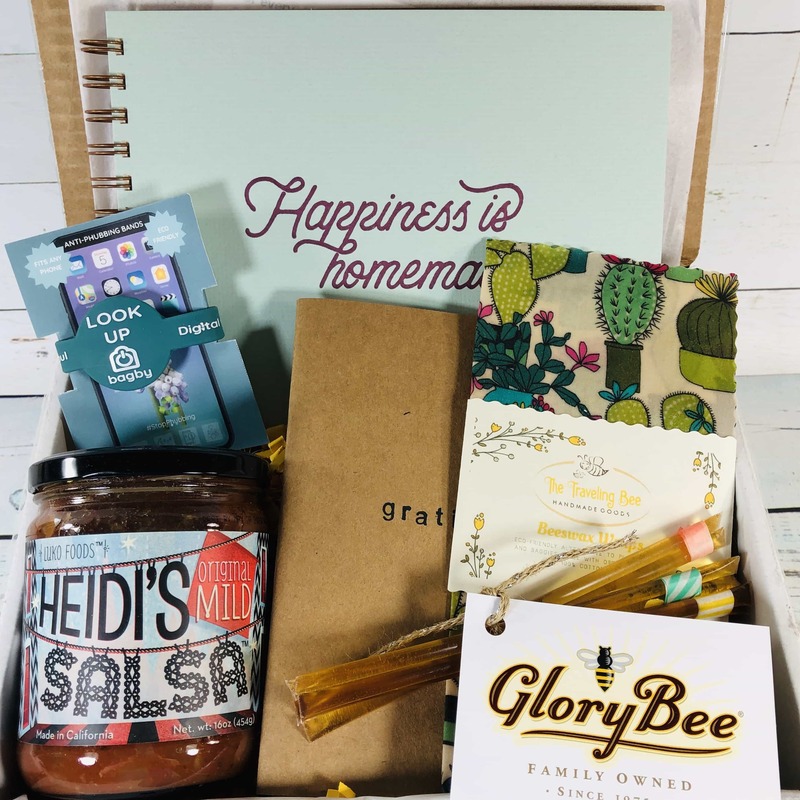 We are a new bi-monthly subscription box for busy go-getters who appreciate guided self improvement, are excited about new wellness products, and love to give back. 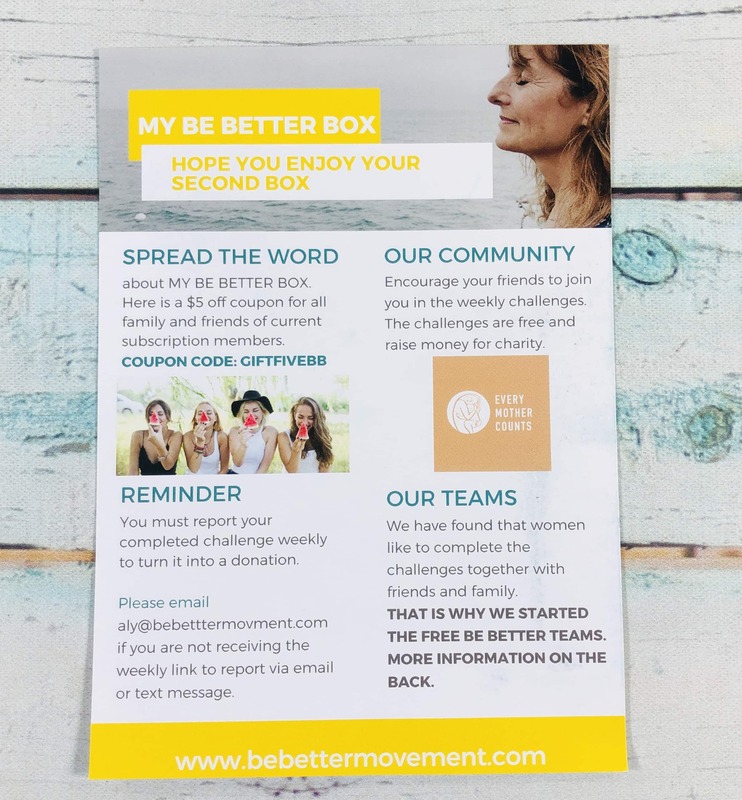 All challenges in box are part of the Be Better Movement campaign. For every completed challenge money, is donated to charity.